Las Vegas, NV, October 10, 2014 --(PR.com)-- Dimension, Inc. announces that they have filed an Answer and Counterclaims in the Eighth Judicial District Court, Clark County, Nevada, against TMM, Inc. (TMMI-PK), Digital Focus, Inc. (DFI), Thomas B. Simpson, Robin L. Haskins, Michael W. Fernandez, Alan D. Sloan, Gerard V. Cavanaugh, Michael K. Kozole, Stanley R. Ford (Counter-Defendants) and other parties to be named later, seeking the return of its intellectual property, declaratory and equitable relief jointly and severally against the named counter-defendants, and damages, including punitive and exemplary damages. The Causes of Action asserted against the named counter-defendants include Misappropriation of Trade Secrets, Abuse of Process, Conversion, Intentional Interference with Contractual Relations, Intentional Interference with Prospective Business Relations, Unfair Competition, Deceptive Trade Practices, Breach of Contract – Transfer of License, Breach of the Covenant of Good Faith and Fair Dealing – Transfer of License, Fraud, Promissory Estoppel – Transfer of License, Unjust Enrichment – Transfer of License, Breach of Contract – Settlement Agreement, Breach of the Covenant of Good Faith and Fair Dealing – Settlement Agreement, Promissory Estoppel – Settlement Agreement, Unjust Enrichment – Settlement Agreement, Civil Conspiracy, and Declaratory Judgment. 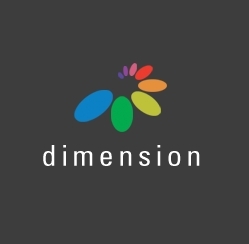 Dimension, Inc. is a technology licensing company with products based on our patents in video compression and upscaling. Click here to view the list of recent Press Releases from Dimension, Inc.